Bollywood actor Janhvi Kapoor has had a great 2018 and her fans are sure to expect a lot more from the diva, who is starring in Karan Johar's multi-starrer 'Takht'. Kapoor will be seen with a number of Bollywood A-listers including Alia Bhatt, Ranveer Singh and Kareena Kapoor and the film is reportedly going to be released in 2020. Janhvi also regularly makes headlines for her impeccable sartorial sense, whenever she steps out. The diva seems to be quite a foodie and often posts pictures of herself eating delicious food, on her Instagram page. 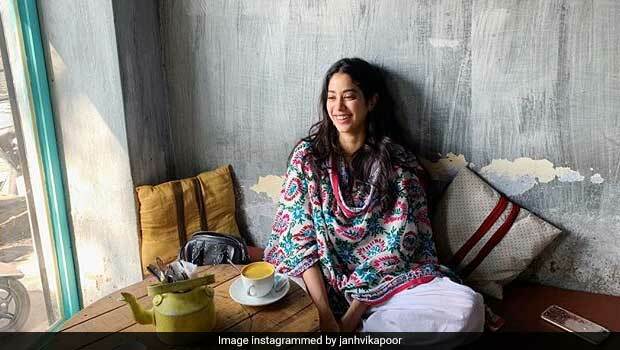 Yesterday, Janhvi Kapoor gave us all a glimpse of what her breakfast looks like. Janhvi posted a picture of herself eating a chocolate candy ice-cream for breakfast on her Instagram stories. She captioned the image, "Breakfast For Champions". Indeed! When they said, never skip your breakfast under any circumstances, we're sure this is not what they meant! We would also like to add that while Janhvi Kapoor may be looking extremely gorgeous nibbling on a chocolate ice-cream for breakfast, it is not advisable for normal folks like us. Apart from the occasional sweets binge, Janhvi Kapoor is a healthy eater. The 21-year-old Dhadak star follows a strict diet, which includes a lot of fruits and vegetables. Janhvi Kapoor's daily diet is made of healthy carbohydrates like brown rice, as well as protein-rich foods like chicken, grilled fish and egg whites. 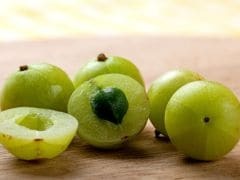 Her diet also includes salads, legumes as well as boiled veggies. Also Read: Video: Ishaan Khatter Reacting To His Decadent Birthday Cake Is All Of Us! The young actor is also quite a gym freak and does a lot of cardio exercises as well as weight lifting. Guess, she has earned the morning treat after all!